From Mexico and South America, groups and organizations condemn attacks on Zapatista support bases in Chiapas. Chiapas, Mexico. June 27. “The compañeros Zapatista support bases (BAEZLN) from El Rosario, Municipality of San Manuel, have again been cowardly attacked on 24th June by paramilitaries from Chikinival barrio in the ejido Pojkol, municipality of Chilon,” state adherents to the Sixth and former students of the Zapatista Little School from Queretaro, after the Caracol Resistance Towards a New Dawn, Good Government Junta Path to the future, of La Garrucha, denounced on 25th June the third attack on BAEZLN from the community of El Rosario, located in the official municipality of Ocosingo. “We know well that the governments are the same narco-criminals in their different levels: Enrique Peña Nieto, Manuel Velasco and Octavio Albores, who from above order their minions, paramilitary groups in collusion with Sr. Guadalupe Flores, to basely attack the Zapatista rebel dignity” assert organizations and people, adherents to Sixth and supporters from Colombia, Bolivia, Brazil, Uruguay, Paraguay and Argentina. “We are united in the pain which provokes outrage and condemnation of the events that are occurring in Zapatista territory,” they added. 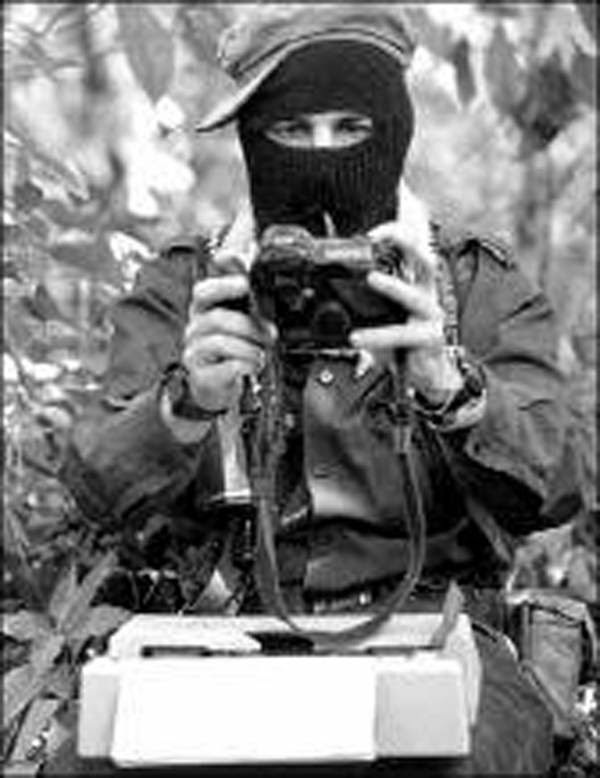 “The government, trying to destroy the truth, has paid paramilitaries (28 from Pojkol and 21 from the community of El Rosario) to attack the Zapatistas; They robbed, intimidated, raided, destroyed and shot at the compañeros support bases” said Collectives of the Sixth from San Luis Potosi. “Almost a month after the start of the Second Grade of the Little School of Freedom According to the Zapatistas, paramilitaries acts started again against the project of Autonomy of the Zapatista Peoples,” warns the Space of Struggle against Forgetting and Repression from Chiapas.